What happens when law enforcement isn't there to save you from a terrorist plot? A gripping, edge of your seat thriller about one family's struggle against terrorism. The caller made it clear-$10 million or her daughter's head. The power of unintended consequences sends the privileged life of prominent anti-war activist Sarah Raab crashing down around her. Fear and terror take hold and Sarah turns to former CIA operative Carl Hellmann, a man she has only just met and who stands against everything she has been fighting for. How could this happen? Why would a terrorist group target her family? Confusion turns to fear and anger as Sarah faces the shocking truth lying beneath the surface of her life. And though Carl's interrogation methods violate everything Sarah believes in, they may be the only way to save her daughter's life. 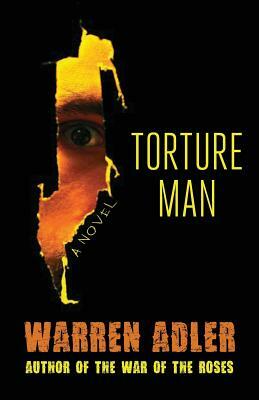 Faced with horrific choices, Torture Man takes the reader through an intense weekend where Wall Street kickbacks, deceit, corruption, and jihad collide on the Upper East Side of New York City.